Wells Fargo is an important resource when it comes to lending in commercial real estate. On a weekly basis, our Champions DFW Commercial Real Estate Podcasts lends advice on a variety of topics. In this particular podcast, Wells Fargo lent their advice on commercial real estate. Jim: Wells Fargo is heavily involved in commercial real estate, and especially through the SBA program, which you’re focused on. Tell us about Wells’ SBA program, and give us the lending messages that Wells has in place for the small business owner/entrepreneur. Mike: Absolutely, okay. We’re the number one small business lender in America. We were the number one SBA lender in both dollars and units in fiscal 2015, which ended September 30. We did over 7,200 loans, and a dollar volume of $1.9 billion, with a b. We’ve been the seventh largest lender in a row for the last seven years in total volume in 7(a) loans, and we’re looking to exceed well over $2 billion in fiscal 2016. Jim: How many loans, typically, will you see or assist on in a given month or quarter or year, Mike? Mike: Well, generally, it can range from five to six in any one month, and you expand that out, maybe, as 50 to 60 loans over an annual period of time. Jim: Who qualifies for that, Mike? In terms of just small business entrepreneurs, yes, but give us a profile of maybe a client who comes to you. Mike: Typically, it’s going to be an owner/user for real estate, somebody that’s going to occupy that property. They’ll need to occupy at least 51% of the property to be eligible for SBA financing. It’s going to be somebody that’s tired of leasing and they want to own their own property, which is always a good thing, because they can control their overhead. And then it would be a great idea that they have some resources available to them to be able to put the down payment, which is great with the SBA loan program. It’s only a 10% down payment on most real estate transactions. And, at Wells Fargo, you can get through a 25-year fixed rate loan we have available to our clients. We’re one of few in the area that does have that option for our borrowers. Listen to the complete conversation in the podcast below or visit the complete library of podcasts on iTunes, here. In addition to Wells Fargo, find our partners, here. The picture above is 771 E Southlake Boulevard in Southlake, Texas. 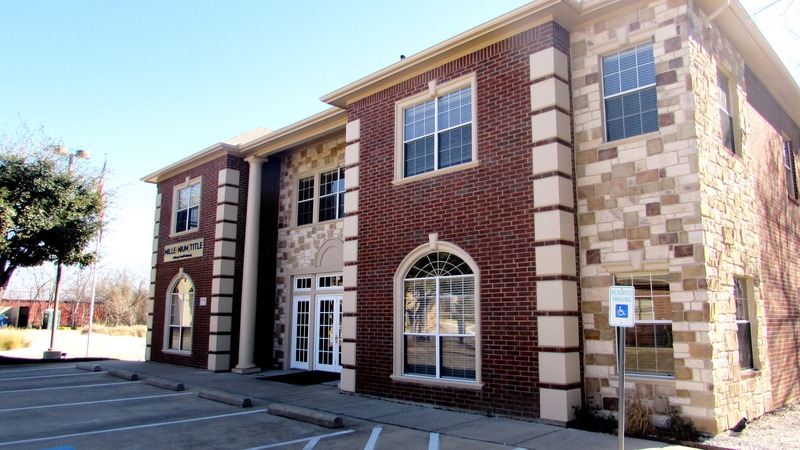 We are seeking tenants for this professional/general office space, which features a newly remodeled exterior and interior. Also, there’s Verizon FiOS service, a finish out/upgrade allowance available, large building and monument signage as well as ample parking. For additional details, contact Jim Kelley or Lisa Amend.